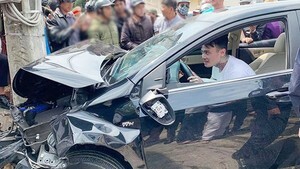 Thick, black smoke began pouring out of an artificial flower shop set in a Pleiku City shopping center in the central highlands province of Gia Lai, scaring hundreds of people, said police on July 4. At 5:10 pm on July 4, the major fire erupted in the Ngoc Doanh shop on Ngo Gia Tu street, the busiest area in the city. Fortunately, it was raining as the fire blazed. Three fire trucks and dozens of firefighters arrived on the scene to control the fire. According to an investigation, a short circuit on the second floor of the shop caused of the fire. 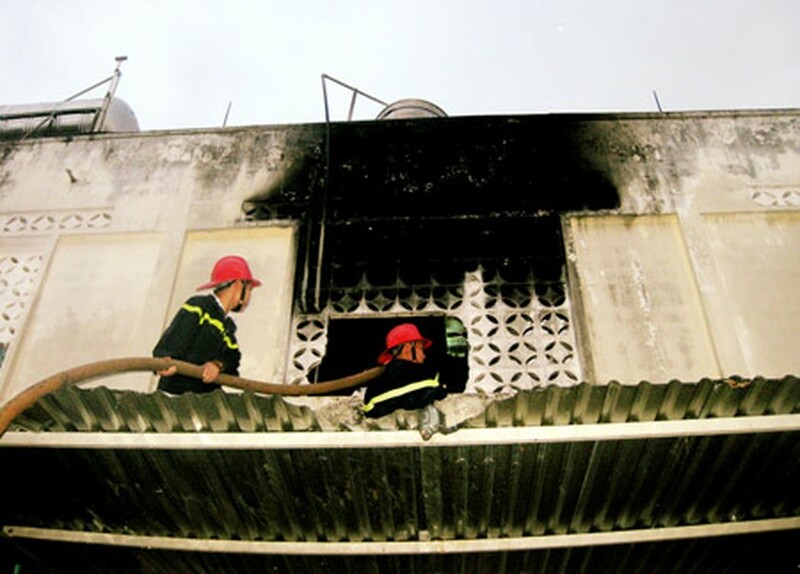 In related news, in Ho Chi Minh City, fire blazed out of at a wasted materials establishment on Nguyen Thai Binh Street in Tan Binh District at 6:40 am on July 5. The shop was full of the waste materials such as paper and plastic so the fire burnt out quickly. Four fire trucks and 40 firefighters were sent to the scene, controlling the fire by 8 am.